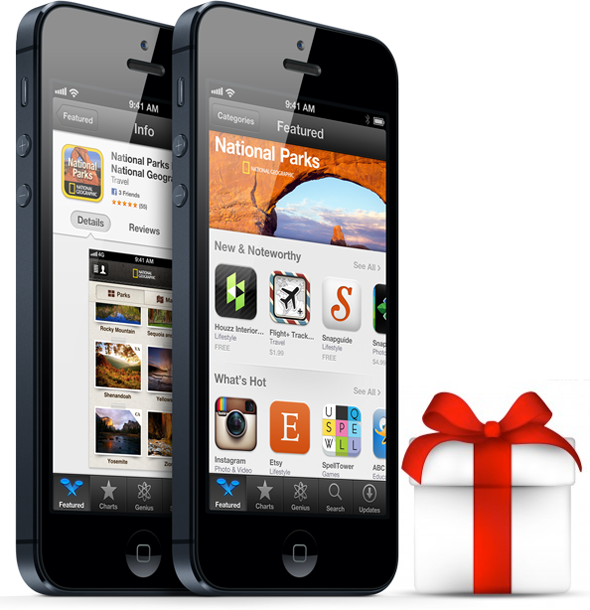 Once upon a time, it was extremely easy to gift an app to a loved one directly from the iOS App Store. It was a simple case of selecting the Gift App button, and then passing in the relevant details of the recipient. Payment would then be removed from the registered payment method held against the account and everyone would go on their way, happy in the knowledge that the gift of giving had been accomplished satisfactorily. For some reason, Apple changed the giving game with the introduction of iOS 6, and actually removed the facility entirely from the App Store for a while, but thankfully it is now back. Considering we are right in the middle of the festive season, there has never been a better time to surprise a friend or loved-one by sending them their very own copy of Fruit Ninja or the award-winning Angry Birds game directly to their iTunes account. Apple has changed the process that is involved in giving an app as a gift from iOS 6, so check out the simple steps below to play Santa Claus this Christmas. Step 1: Open up the App Store on the relevant iOS device and tap on the Search tab on the bottom tab bar. Search for the app you wish to gift in the search field and click ‘Search‘. Step 2: Select the app from the returned search results before selecting the Action button in the top right hand corner. Step 3: from the resulting action sheet, select the Gift option from the bottom row of available icons. Step 4: Fill in all of the required details of the person that you are gifting the app to before selecting Next from the top right hand corner. Step 5: Select a theme from the resulting display that will be used to make the gift look all pretty and presentable. Step 6: Confirm the purchase and the sending of the gift before selecting Done to complete the process. After the process has been completed, the recipient will receive an email with all of the necessary details enabling them to complete the gift transaction and download the gifted app from the App Store. Although the process was briefly removed from iOS 6, it is nice to see Apple getting themselves in gear to ensure that we can all enjoy giving mobile apps to our loved ones.